What separates a nice house from a beautiful home for you? Is it the perfect furniture? A beautiful view? The art on the walls? We think a beautiful home is all in the details. 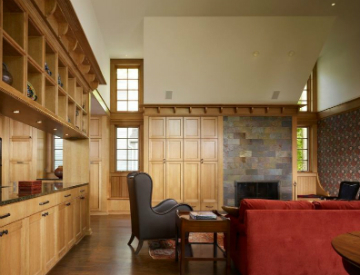 Join us as we take a look at architectural trim in luxury home construction. Decorative trim can add a touch of personality to every nook and cranny of your home. Try adding an ornate cornice and arch. This is a nice touch that can break up the abrupt disconnect between rooms. Your visitors will be in awe as they draw their eyes up towards the ceiling. Your trim can be as decorative or discreet as you please. For example, try an ornate floral motif or a more clean design with simple lines. The outside of your home can be decorated with architectural trim to make your home stand out. Try Victorian trim along your roof’s edges to add some visual interest. The trim can be added to the very top of the roof, or you can choose to extend the trim all around. Again how ornate or simple your trim can be is dependent upon your own taste. When it comes to architectural trim for your luxury home construction, we are the experts. We want to help you create the home of your dreams. Contact us for more information. Life on Mars show to air 4/19!